Awesome Friday! Joseph Gordon-Levitt Archives - Awesome Friday! The Walk is the story of Philippe Petit and his high wire walk between the towers of the Wold Trade Center back in 1974. YOu may have already seen the excellent documentary on the subject, Man on Wire, and if you haven’t you should. I have no idea if this film will be good but the poster is snazzy and a little freaky so there’s that. Plus, Roebrt Zemeckis has a good track record and so does Joseph Gordon-Leavitt so it’s got that going for it. 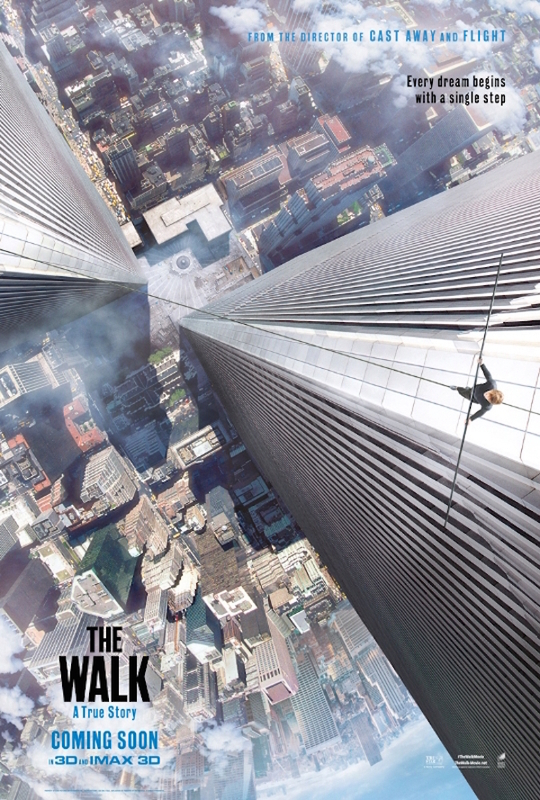 The Walk is out 2nd October. I guess we’ll find out then. Love is in the air everywhere you look around. You’ve got the best of my love. I just can’t get enough of your love, babe. I don’t care who you are, where you’re from, what you did, as long as you love me. I don’t care what they say I’m in love with you. All you need is love. Might as well face it you’re addicted to love. Come and get your love. Can you feel the love tonight? Don’t worry, you’re not alone. And there’s nothing wrong with that even if all the giant displays of red hearts and fluffy things and greeting cards and hand holding couples all over the mall are trying to tell you otherwise. There’s a lot of love in the world that doesn’t fit into cardboard boxes or perfectly co-ordinate with an arbitrary date in February. Contrary to the current array of movies playing on television (AMC is playing Titanic back-to-back for 18 hours straight. The boat sank in 3.) 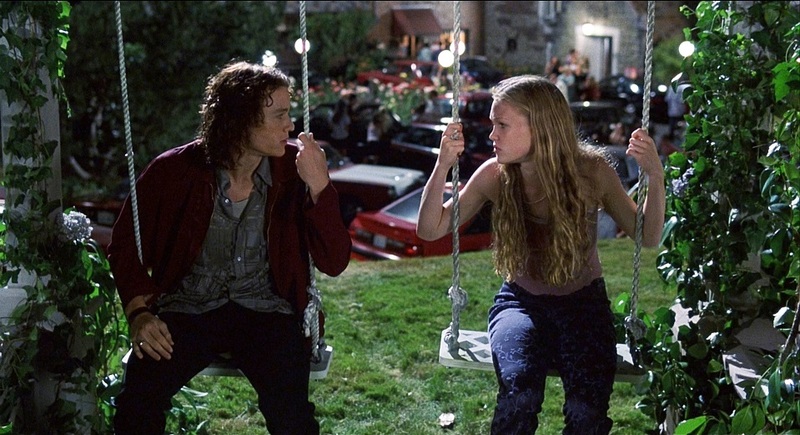 there are also a lot of love stories in film. If you’re looking for something to watch tonight but don’t feel like crying alone while watching the Notebook (the tired stereotype of single women on this day), let me recommend some alternatives. It’s been nearly a decade since we last visited Sin City. I liked that movie. It’s not amazing art but it kinda works for me. It was stunning on the big screen and I enjoyed it when I re-watched it and even though I have a strong dislike for Frank Miller I do love the work of Robert Rodriguez and Quentin Tarantino. This time around though it doesn’t work. I’m officially hoping that this is good. Or at least so bad it’s good. There are at least five people in this movie. They made a second Sin City film and it sure looks like Sin City. In a good way though. Let’s watch! Joseph Gordon-Levitt is a pretty cool guy. A few years ago he started a collaborative production company called HitRECord and started working with people from everywhere to make collaborative short movies and books and records and all kinds of stuff. All this is now culminating in a TV show appropriately called HitRECord on TV. You can watch the first episode here, and I encourage you to do so as it’s something kinda special. It’s hard not to love Joseph Gordon-Levitt. He started out as your average adorable child actor and then rather than transitioning into fluff pictures he went indie, working on great films like Brick and The Lookout, building credibility and honing his acting skills. Now, after building a bank role with more mainstream fare he’s made the leap to writing and directing. Turns out he’s pretty damn good at those too. I love Joseph Gordon-Levitt. He’s a brilliant actor and he’s been in some of my favourite films of the last few years. Now he’s taken a step behind the camera and wrote, directed and starred in Don Jon, a movie that looks like it might be seriously good. So you may have noticed things are a little quiet around here lately. I don’t have a good reason for that, but we have been releasing episodes they just haven’t been making it to the site. So in case you’re one of the few who check here, here are episodes thirty five and thirty six! Yes, you’re right, there was no episode thirty four. Listen and you’ll hear why. The 16th President as a vampire hunter? Joseph Gordon-Levitt at Bruce Willis? Old games made new again? It’s must be Awesome Friday! This week we tackle all of the above, plus a fairly significant update on The Year of Living Gamelessly, Simon’s now half over endeavor to not spend any new money on games as well as a reaction to Radical Games closing and the state of the game industry in general.